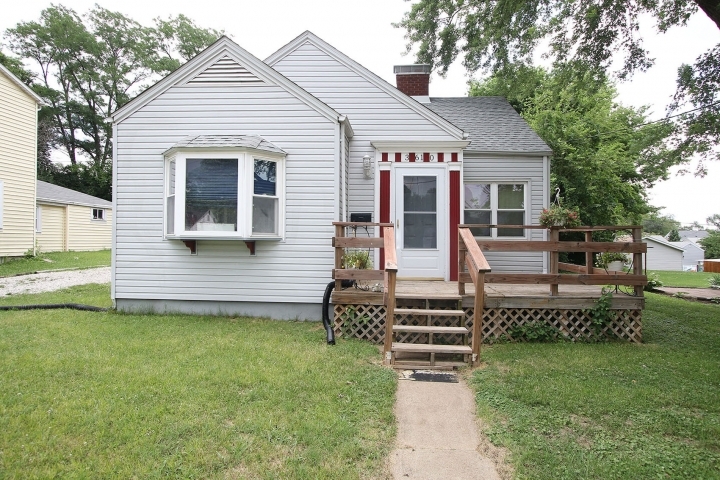 Don't miss this 3BR/2Bath home located on a dead end street with a large lot. This home features a main floor office, formal DR, spacious kitchen with a large informal dining room plus breakfast bar and pantry. Both bathrooms have been updated. Outside is a flat backyard with an attached sunroom, plus covered patio and an outside shed for gardening tools or storage. The lower level is wide open with some finish. This is an Estate Sale and the Seller will do no additional repairs. Before making an offer on any property, buyer should independently verify all MLS data, which is derived from various sources and not warranted as accurate. Happiness is ��. 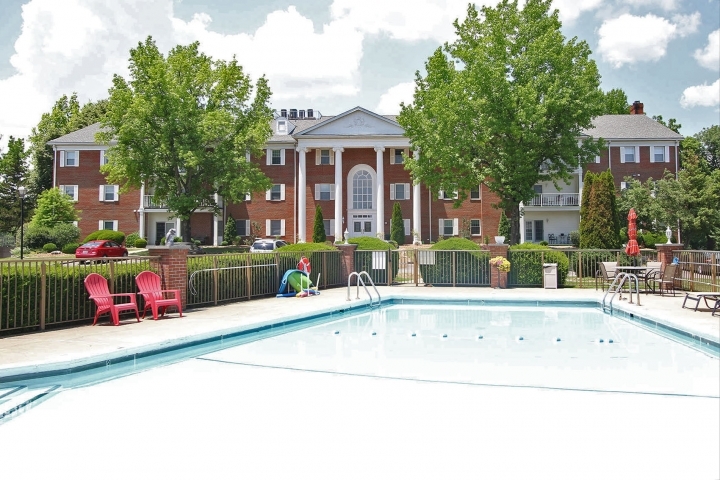 Care free condo living featuring private inground swimming pool and gazebo. Within walking distance to Sunset Hills Golf Course. New windows, newer wood floors, washer/dryer and new refrigerator. Open floor plan with 2 bedrooms, 2 baths plus spacious kitchen are sure to please. Secure indoor parking plus elevator just steps from your front door. Association fees includes snow removal, landscaping/lawn, indoor parking, roads, water, sewer, trash and pool. Fees are $315.00 monthly. Before making an offer on any property, buyer should independently verify all MLS data, which is derived from various sources and not warranted as accurate. 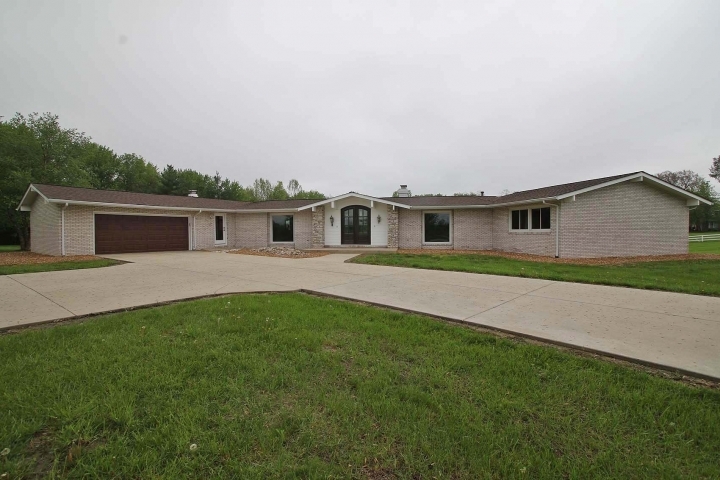 Irresistible and like new this impressive ranch home with wood floors and fine finishes throughout is sure to please. Chef�s kitchen to delight the resident chef offers stainless appliances, custom style cabinetry, granite counters and spacious island. First floor laundry plus ever popular drop zone. Open concept features great room with stone fireplace and windows galore. Master suite is a perfect retreat after a busy day. Game/family room, bedroom, bath and bonus room complete the finished lower level. 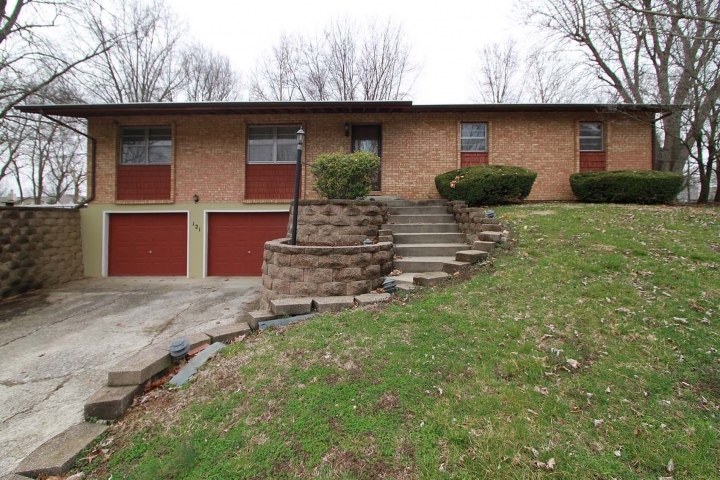 3 car garage, covered patio and fenced yard add to the appeal of this delightful home. Before making an offer on any property, buyer should independently verify all MLS data, which is derived from various sources and not warranted as accurate. A nature lovers paradise, this all brick ranch ideally located on tree lined private secluded setting. Exquisite custom designed kitchen is truly a chef�s dream. Top of the line cabinetry, granite & deluxe stainless appliances plus incredible center island with wine rack. Open great room with remote gas fireplace plus sitting area & formal dining room. Beautiful master suite is sure to please. Walkout lower level features fireplace, laundry room, additional bedrooms with walk-in closets & full bath. Outdoor accommodations include party size deck, stone patios, exquisite brick fireplace for hours of relaxing or entertaining. Side entry garage, irrigation system covers total yard plus outdoor lighting in this move in ready fine home. 25 minutes to down town St Louis. Before making an offer on any property, buyer should independently verify all MLS data, which is derived from various sources and not warranted as accurate. Winding streets, gently rolling hills & green space is the setting for this delightful 1.5 story home in popular Timberwolfe development. Light from the abundance of windows enhances every expanse of the home from the 2-story great room w/deluxe fireplace to well planned & equipped kitchen w/breakfast bar to accommodate friends & family, which opens to great room & leads to deck overlooking spacious back yard. Granite counters & newer appliances. Master suite & luxury bath on main level. Additional bedrooms on 2nd floor. 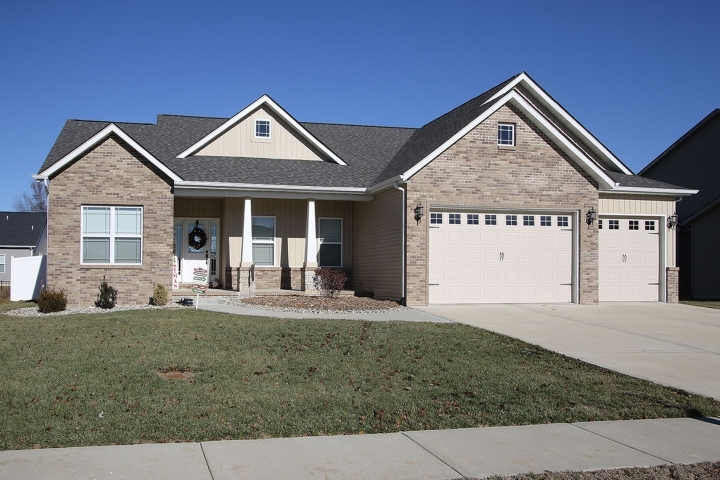 Finished walkout features, fireplace, game room, 2 offices, bath & additional room. Energy efficient features include 95% York variable speed furnaces, 16 seer air condition, programmable thermostat, electric air filter, zoned heat & cooled. Considerable low utilities, oversize 3 car fully insulated garage. 50 year 5 star roofing system & warranty 2013. Beam Central Vac. PAR EXCELLENCE!! Friends will be green with envy upon seeing this superb, custom 1.5 story home set off by the lush green landscaping of golf course living. 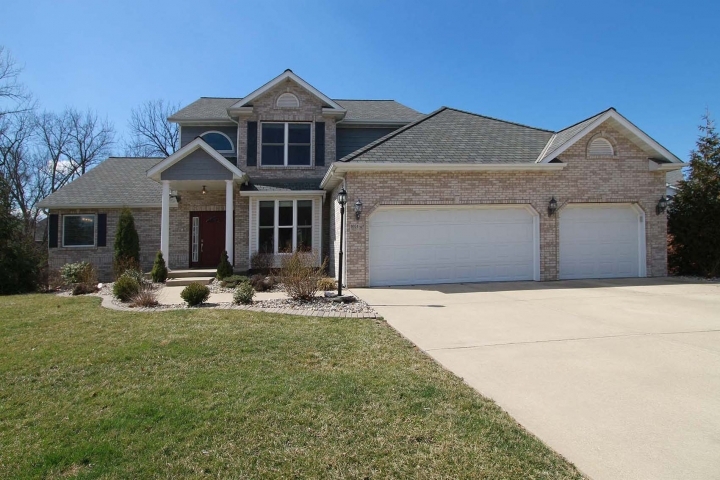 Prepare to be impressed with the comfort and luxury provided by an abundance of windows in the dramatic 2 story great room, well equipped kitchen with pantry and island, first floor master with spa like bath, walkout lower level with media/game room, bedroom and bath AND exquisite millwork throughout! Other features include 3 car oversize garage and irrigation system. Premier location, just 5 minutes from downtown Edwardsville and 25 minutes to downtown St. Louis for your shopping, dining and entertainment opportunities. Bring your best game and call for a private tour today. Before making an offer on any property, buyer should independently verify all MLS data, which is derived from various sources and not warranted as accurate. Expect to be impressed with beautiful views plus desirable privacy� Windows galore and open floor plan, newer wood flooring, enviable room sizes with modern flair all on 2.75 acres. Well planned kitchen features stainless appliances and breakfast bar. This fine home with focus on custom salt water pool, party size deck, covered patio and walk out lower level is sure to please. Close to interstate, YMCA and schools with minutes to shopping and dining. Don�t miss the opportunity for a private tour of this one of a kind home. Before making an offer on any property, buyer should independently verify all MLS data, which is derived from various sources and not warranted as accurate.